Chef, travel host, and gifted storyteller Anthony Bourdain has died. He was 61-years old. Bourdain was in France shooting an episode of his Parts Unknown show where he was found dead in his hotel room from an apparent suicide by hanging, according to CNN. His close friend Eric Ripert, the French chef, found Bourdain unresponsive in his hotel room Friday morning. Anthony Bourdain was more than just a TV personality. His raw take on life and unique way of identifying and sharing cultures was unmatched. On the outside, it seemed that he had a lust for life. Bourdain loved to eat, drink, tell stories with old friends and new ones, while giving the world a view into itself that seemed highly personal and authentic. 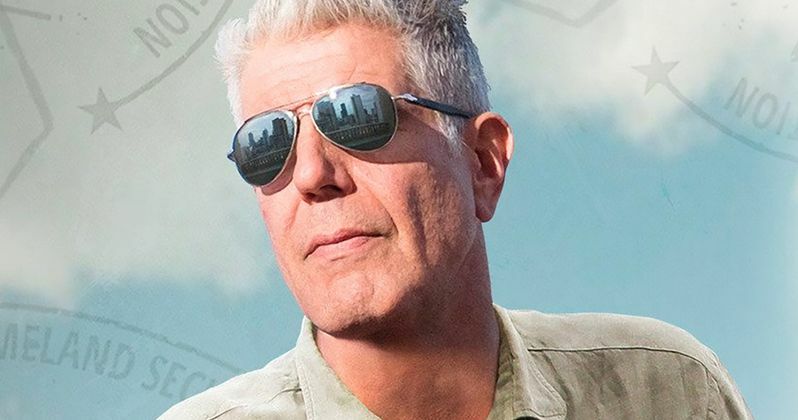 Bourdain was inspired by music and could often be seen at shows by Iggy Pop and Queens of the Stone Age whom he became close friends with, the latter recording the theme song for Anthony Bourdain: Parts Unknown. Pop said, "I loved the guy, and he was a light of kindness and good vibes in my life." Anthony Bourdain was born June 25th, 1956 in New York City and was raised in New Jersey. His father was a classical music executive for Columbia records while his mother was an editor for the New York Times. Bourdain noted that he was not raised with religion in his household, though his father was raised Catholic. He got into food early on while vacationing in France as a child and trying his first oyster and pretty much never looked back. Anthony Bourdain went on to attend the Culinary Institute of America, graduating in 1978 and from there he went on to run various restaurant kitchens in New York City. In 1998, Anthony Bourdain became executive chef at Brasserie Les Halles, based in Manhattan. Soon after, he began writing articles for the New York Times and New Yorker, which spawned his New York Times bestselling book Kitchen Confidential: Adventures in the Culinary Underbelly in 2000. Bourdain wrote more bestselling nonfiction books and later went on to start hosting TV shows, starting with A Cook's Tour from 2002 to 2003 on the Food Network and then No Reservations from 2005 to 2012 on the Travel Channel. No Reservations is what cemented Anthony Bourdain as the gifted storyteller and travel seeker, looking to uncover and share new cultures and expose them to the world. While Anthony Bourdain touched the lives of many, astronaut Scott Kelly seems to have summed up what Bourdain did best in a social media message. Kelly is far from being the only one, there has been an outpour of messages, but for some reason, Kelly nails it. He had this to say. "Just saw the sad news that Anthony Bourdain has died. I watched his show when I was in space. It made me feel more connected to the planet, its people and cultures and made my time there more palatable. He inspired me to see the world up close." Though Anthony Bourdain made it through writing successful books and starting successful TV shows, he did it in a renegade style that was at times rough, but always truthful. Anyone that follows him on Twitter knows that he's not afraid to stand up in what he believes in, even if it takes calling out good friends for their actions. You can read more about the life of Anthony Bourdain at CNN. Rest in Peace, Anthony Bourdain.